Low Voltage Contractor in Southeast for Multifamily and Student Housing-LVP Inc.
LVP Inc. is a licensed low voltage contractor who specializes in low voltage infrastructure systems that provide risk management, fire and life safety, security, communications, data, and entertainment solutions. LVP Inc. has the experience, knowledge and products to meet and exceed your expectations. 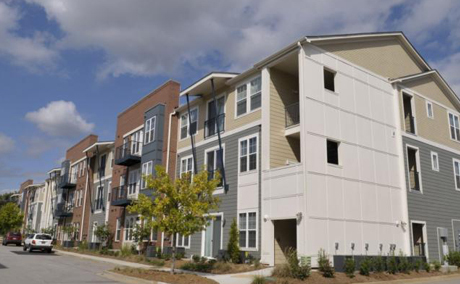 Our focus is with new construction projects of multifamily and student housing in the Southeast. Surrounded by 28 acres of preserved trees, this Luxury Apartment Complex of 292 units offers walking trails, dog parks and playgrounds. The amenities include: a multi-level, state of the art fitness, pool with a sundeck, hot tub, splash pool with fountains, theater, on site boat storage and private garages. 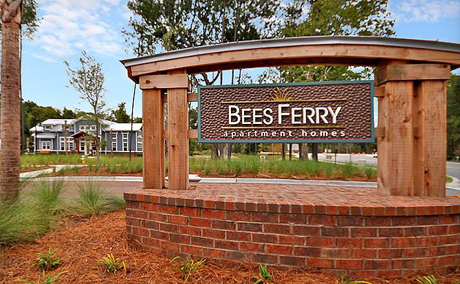 Located in the heart of West Ashley and its beautiful wetlands, Bees Ferry Apartment Homes redefines indulgent apartment living and delivers unparalleled resort-style amenities designed for the comfort and convenience of everyone. 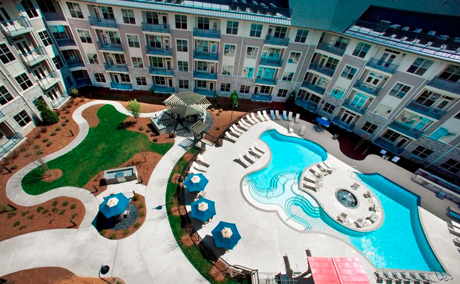 CHARLOTTE, NC - 280 unit urban mid-rise apartment community. Located in downtown Charlotte, NC, residents have only a short walk to Johnson & Wales University Charlotte campus. 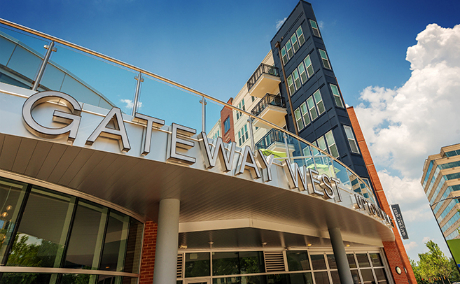 Gateway West Uptown Flats offers many amenities, including covered parking in a secured parking garage, lush landscaped courtyard, fitness and yoga facility, swimming pool, resident lounge, movie theater, gaming areas, demonstration kitchen and much more all with the view of the Charlotte skyline. The project consists of a five story wood construction apartment building on a post tensioned concrete podium slab with secured parking underneath. As part of the ultra-hip South End community Silos South End is steps away from the Lynx CATS rail station, minutes from Uptown Charlotte, and part of a vibrant and growing arts and restaurant scene. 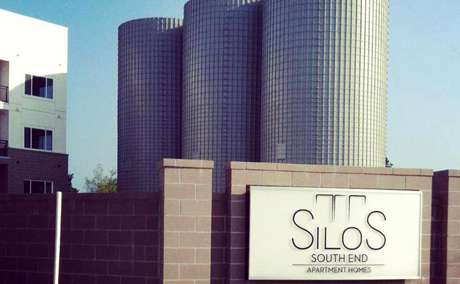 Silos South End apartments feature mid-rise apartments and townhomes, granite countertops, oversized windows with lots of natural light, health club grade fitness center, dog spa, bocce ball lawn, 2nd floor lounge overlooking the pool, and a full service chef's test kitchen. 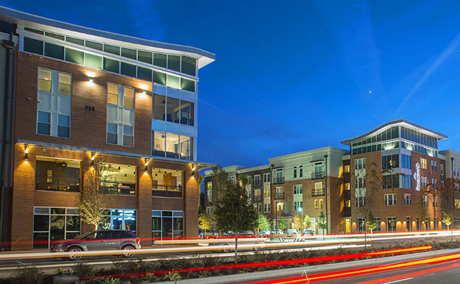 CanalSide is a 23-acre mixed-use development in Columbia’s Vista District on the Congaree River. It is home to 750 residential rental apartments comprised of townhomes, condominiums and lofts. Complementary retail creates a pedestrian-friendly neighborhood environment, and the CanalSide apartment community adds to the diversity and the vibrancy of downtown. Luxury... Sophistication... Charm... The Tribute blends the ideal mix of modern comfort and cutting-edge living. Located off of Glenwood Avenue in Raleigh, North Carolina, The Tribute offers stunning one, two and three bedroom apartment homes perfectly situated minutes from the hustle and bustle of downtown. LVP Inc. provides industry leading Fire & Life Safety and Mass Notification solutions that will give you a reliable safety presence, and advanced notification for your facility in case of a Fire or other emergency. LVP Inc. is proud to be a Honeywell Gamewell-FCI Platinum Engineered Systems Distributor, the industry leader in Fire Alarm technology. We staff factory trained NICET and OSHA Safety Certified personel, and are proud to be a member of the National Fire Protection Association (NFPA). LVP Inc. designs, installs, integrates and supports computerized access control systems. LVP offers systems as small as a 2-reader system, all the way up to a large-scale, multi-facility solution. LVP's access control systems utilize a variety of reader technologies, from simple barcode readers through magnetic stripe, proximity, biometric and smart card readers. LVP Inc. is a factory-trained certified dealer of DSX Access Systems. DSX ‘s uncompromising dedication to engineering and manufacturing makes DSX Access Systems one of the most respected names in the security industry because of its concentration on providing products and service that exemplify quality, reliability and integrity. DSX offers symmetrical scalability. Grow your system from one location and one PC to thousands of locations and hundreds of PCs on a Wide Area Network. LVP Inc. designs, installs and integrates exceptional sound and video systems. Our audio/video systems are flexible, expandable, and simple enough to use practically anywhere. These systems are an ideal fit for facility clubhouses and anywhere that a cutting-edge audio/video system may be required. Whatever a facility’s audio/video needs - including communication, presentation and multimedia systems - our team can customize a solution for your facility. LVP Inc. is an authorized platnium dealer for TruAudio, the premier manufacturer of architectural speakers designed and built for the custom A/V industry. Their speakers perform with the quality of a free standing cabinet type but install flush into your standard wall. TruAudio offers a full line of premium speakers and accessories to ensure the sound quality in your clubhouse or facility is better than ever. LVP Inc. delivers solutions that dramatically improve the quality, usability and scalability of a video system. From cameras and transmission, to digital video recorders and monitors, our engineers can seamlessly upgrade video systems or build a new state-of-the-art network, depending on a facility’s needs. LVP offers video systems that range from a 4-camera system to a large-scale solution perfect for use in any commercial application. LVP Inc. designs and installs CATV and SATV distribution systems. LVP also works closely with other cable TV providers when needed. LVP can provide the best and most economical commercial TV system for your business. LVP Inc. offers many types and brands of gate operators for swing gates, slide gates, california gates and barrier arm applications representing several gate operator manufacturers. Gate operator warranties vary by brand and model, and range from one year to five years. Whatever the application, we've got an operator that will work for you! LVP Inc. has partnered with Security Central, to compliment and enhance our customers fire detection and suppression systems. Security Central is an independent, alarm monitoring service located in Statesville, North Carolina. The highly trained operators at Security Central provide prompt, courteous and professional monitoring services to our customers. For more than 30 years, they have built a reputation as a leader in our industry. Security Central continuously invests in the latest monitoring technology and equipment for your central station. Founded in 1970, Security Central has grown to one of the Nationwide Industry leaders in UL Central Station Monitoring. Contact LVP Inc. to help you design and implement a monitoring system that will fit your unique needs. © 2015 Low Voltage Professionals Inc. All rights reserved.